For the last 10 years, Electronic music has clawed its way into the consciousness of South Africans across the country. This flourishing movement has been growing massively with festival pioneers like Oppikoppi affording the art form a space to be showcased and appreciated. 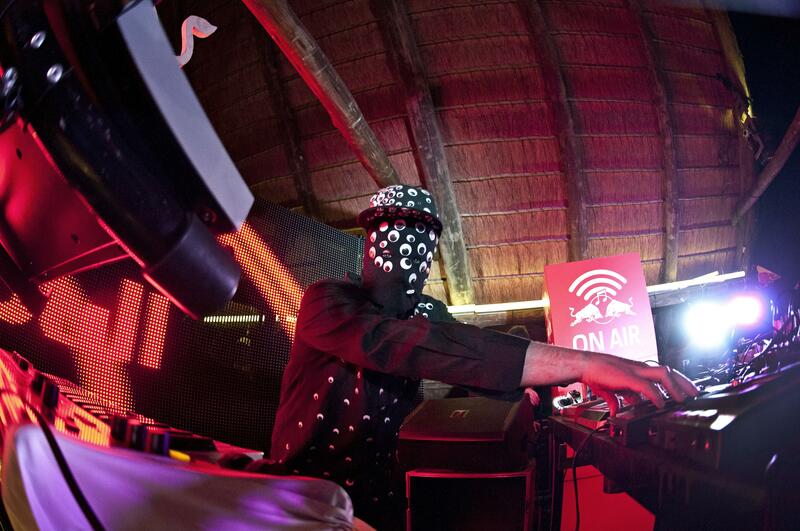 This year Oppikoppi Festival continues its partnership with Cape Town based champion of sound – Red Bull Studios and plays host to yet another spectacular Red Bull Studio Live Stage. The 3-day sonic extravaganza is naturally divided into pockets of sound that build and break along with the light, starting on Thursday with a 4.5 hour foire into Electronic music with the studios own team, passing the baton over to some of the best House music DJ’s and Producers in the country including Durban’s own MX Doppe’ and the masterful Oskido. As night descends on the koppi we slip into the always unpredictable journey of Unsound System and the break through the darkness with Techno like Monique Pascal and T-Minus playing back to back and ending with Nick Grater. Friday’s line-up is chock full of energy, exploring Dub, Glitch Hop and live electronics alike. The daytime sections includes the exploits of African Dope founder Fletcher, the live audio/visual antics of Mr. Sakitumi and The GRRRL and Glitch-hop juggernauts PHFAT. While the nighttime effortlessly melts into the harder edge of disciplines like Dubstep, Drum n Bass and Electro with Phizicist, Haezer and Rudeone. We round off the early hours of Saturday morning with Dutch internationals Baskerville, followed by a retrospective look at the journey of Techno in SA as seen through the eyes of Killer Robot’s own Ivan Turanjanin. The third and final day of the festival is a real treat for connoisseurs of EDM. We begin the day showcasing an exciting new movement of Cape Town’s music scene including Cold Turkey co-founder Rebel Clef onto Big Space, both exploring local and international Bass music. Moving on to incredibly prolific House producer Terrence Pearce, Nomadiq and Uberbeat Label Boss Floyd Lavine. A live show by JHB Newcomers The Frown is eagerly anticipated before Festival Ambassador PHDJ takes over to tip into night. Things begin to really heat up when Local Electronic legend Sibot and VJ Toyota Cressida bend your minds out of shape and pass over to the man himself, Diplo. Mad Decent Label head Diplo has been at the forefront of the game and a true tastemaker since around 2003. Having instilled a rock-steady vision and passion for Electronic music in the community around him beginning with his “Hooked on Hollerphonix” parties in Philadelphia alongside DJ Low Budget, he soon cemented his reputation as one of the most talented and creative producers and DJ’s around. Since then Diplo has gone onto break-through mainstream consciousness and expose artists such as Dillon Francis, started the massively successful Major Lazer outfit and movement with Switch, and work with artists such a Snoop Dogg and Die Antwoord. Expect an absolutely explosive set and a true education from one of the masters. Finally we take you all home and cap off another undoubtedly incredible weekend with the eclectic and hard hitting sounds of Soul Candi Label boss, Kid Fonque, rising star Das Kapital and local Electro hero’s Pascal and Pearce. 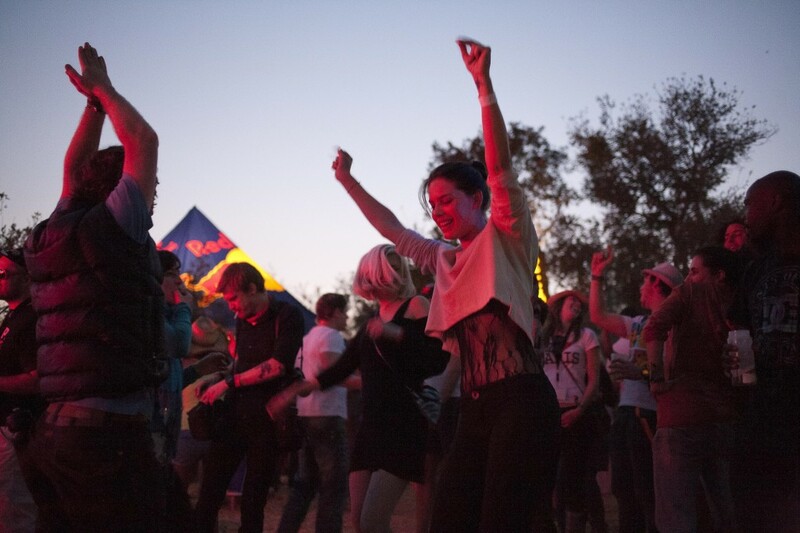 The Red Bull Studio Live Stage at Oppikoppi 2012 plans to explore, educate, enthrall, but most importantly entertain all those lucky enough to experience it.